Before he died, Alex Lowe climbed 12,589-foot Mount Coness in California's Sierra Nevada with fellow skier and climber Andrew McLean. The two men came across a plaque memorializing a climber who'd died on the mountain and McLean remembers asking Lowe, "Where would you want to be buried or memorialized?" Lowe responded that he didn't need a plaque. He just wanted to be buried in a beautiful mountain setting somewhere in the world. 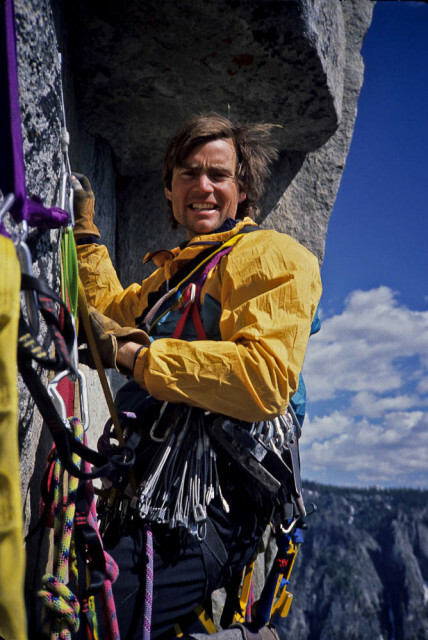 On October 5, 1999, Lowe, a world-renowned alpine climber and ski mountaineer from Montana, was killed, alongside cameraman David Bridges, by a massive avalanche on Tibet's 26,289-foot Shishapangma, the 14th highest mountain in the world. The bodies of Lowe, 40, and Bridges, 29, seemingly disappeared forever. Until last week, that is. On April 27, 2016—16 and a half years after the fatal avalanche—German climber David Goettler and Swiss climber Ueli Steck stumbled across two bodies, encapsulated in blue ice in a melting glacier, while acclimatizing for an ascent of the south face of Shishapangma. The discovery reopened a tragic loss for the mountain community, and prompts an opportunity to remember Lowe's significance as a climber and skier. McLean credits Lowe—who’d been up Everest twice, spent years tackling big walls in Yosemite, and pioneered routes throughout the Himalaya, Antarctica, Baffin Island—with helping bring the mentality of ski mountaineering to the U.S., a phenomenon that was wildly popular in Europe but still relatively unknown in America in the 1980s and early '90s. "The mentality of skiing steep lines hadn't come full force into the U.S. yet, but Alex was the tinder that helped ski mountaineering catch fire in this country," says McLean. 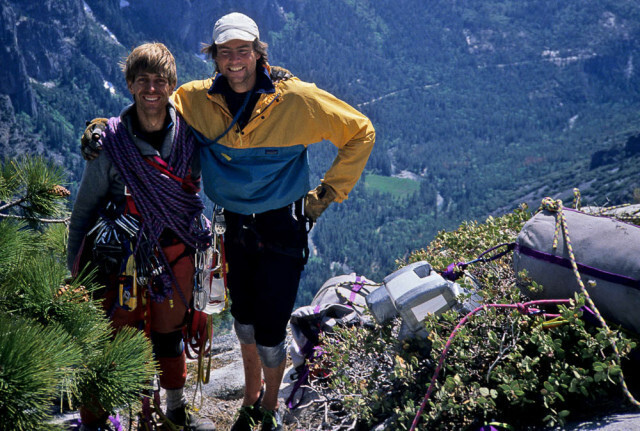 "Alex was like, 'You can use randonee gear and combine skiing with climbing.' Suddenly, these lines became ski-able if you started throwing in rope work." Such practice is now a thriving trend in mountain ranges all over the Western U.S.
Antarctica. 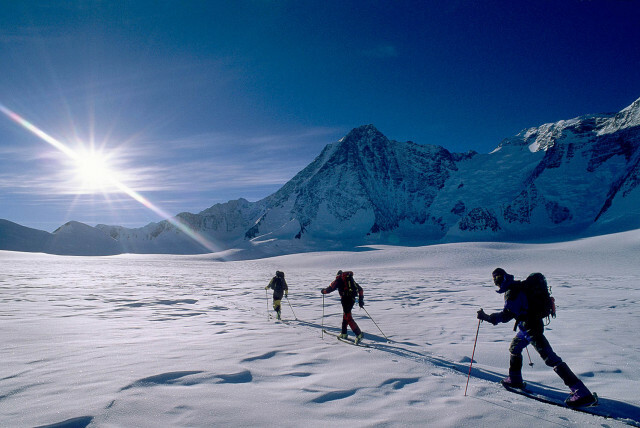 Alex Lowe, Conrad Anker and Dave Hahn approach Mount Tyree, in Antarctica. 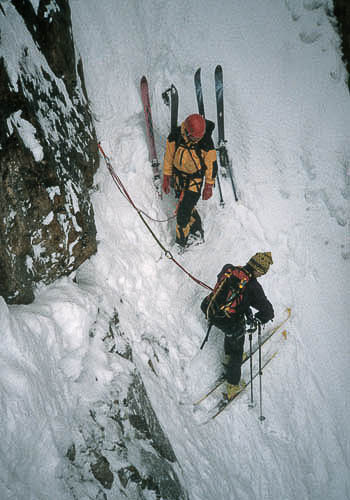 After finding the bodies in late April, Goettler and Steck called Conrad Anker, who had narrowly survived the 1999 avalanche that killed Lowe and Bridges. Upon describing the gear and clothing of the deceased, they were able to identify that the bodies were most likely those of Lowe and Bridges. "Alex was the tinder that helped ski mountaineering catch fire in this country," says Andrew McLean. "Alex was like, 'You can use randonee gear and combine skiing with climbing.' Suddenly, these lines became ski-able if you started throwing in rope work." In the book, she talks about a bumper sticker she had on the back of her minivan that read, "Tibet Forever! Endlessly Connected," and how that sticker was an everyday reminder for her that Lowe would remain in the Himalaya forever on an 8,000-meter peak. Or, at least, she thought it would be forever. "There is something fitting about Alex's remaining in Tibet, that most spiritual of mountain kingdoms," writes Jenni, who went on to found the Alex Lowe Foundation in memory of her late husband to support humanitarian projects in remote corners of the world. 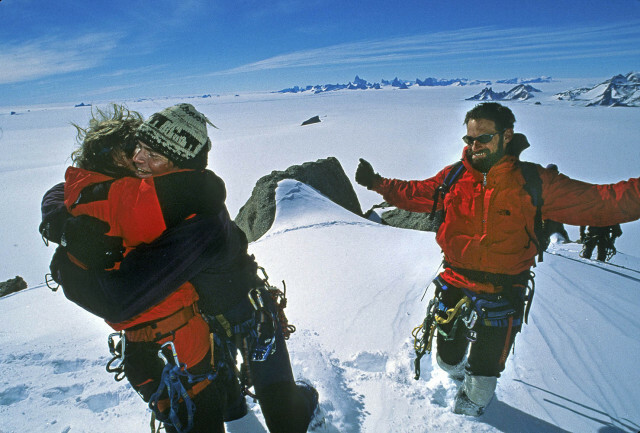 Alex Lowe hugs Conrad Anker atop Rakekniven Spire, Antarctica. Jon Krakauer is on right. After the two bodies were found last week, Jenni said in a statement, "Alex and David vanished, were captured and frozen in time. Sixteen years of life has been lived and now they are found. We are thankful." She added that she, Anker, and their sons would be making a trip to Shishapangma to put Lowe to rest. Anker added in the statement, "After 16 and a half years, this brings closure and relief for me and Jenni and for our family." The day Lowe and Bridges were killed, they were part of a nine-person crew of American ski mountaineers, including McLean, Anker, and others, who were scouting to ski a line from the summit of Shishapangma that would have made them the first Americans to ski from an 8,000-meter peak. When the avalanche hit, Anker, Lowe, and Bridges were about a quarter mile from the rest of the group on a wide-open slope. McLean says he could see the three men from across a field of crevasses when the avalanche struck. Anker miraculously survived; while Lowe and Bridges vanished. "At first, it was just a small point release," McLean says. "Then the slide went over a series of cliff bands and just kept getting bigger and bigger until it became clear it was going to engulf them. On the avalanche scale of one to five, it was a class five, meaning it was capable of destroying a small village. The dust cloud was so big, it hit our base camp two miles away." A rescue operation was deemed futile—the two men were gone. Later, flying in a plane over Shishapangma toward Kathmandu, Lowe's widow, Jenni, describes the mountain that killed her husband, bathed in sunlight and shrouded by pink clouds. "I had hated her and yet, as I looked upon Shishapangma, I was stunned by her beauty," she writes. Adds McLean, "For Alex, you couldn't ask for a more beautiful location."